Almost 400 Schools registered for the School Enterprise Challenge 2012! This week has been another great week for sign-ups to the School Enterprise Challenge, and we would like to welcome all those that have recently registered to take part. The first school from our hometown – London, UK – has joined (Park View School) as well as other UK schools such as Sir Thomas Boteler CoE High School from Warrington and Hounsdown School from Southampton. We were also delighted to see the first schools from El Salvador and Burundi sign-up this week, so a big welcome goes out to Casa La Atarraya and Primary School of Munyika I. There have also been a number of new African schools join the competition – for example Ntababomvu Combined School (South Africa), Nsangi Secondary School & Wisdom Primary School (Uganda) and Grange School Ikeja, Prestige High School, Golden Bunch School and Mora Nursery/Primary School (all from Nigeria). It is great to see so many new schools taking part this year, and we have no doubt that the School Enterprise Challenge 2012 will be an exciting and truly global competition! Good luck to all schools who have registered, and remember that the deadline for submission of your business plans is the end of July so get thinking about what enterprise you are going to start up in your school! 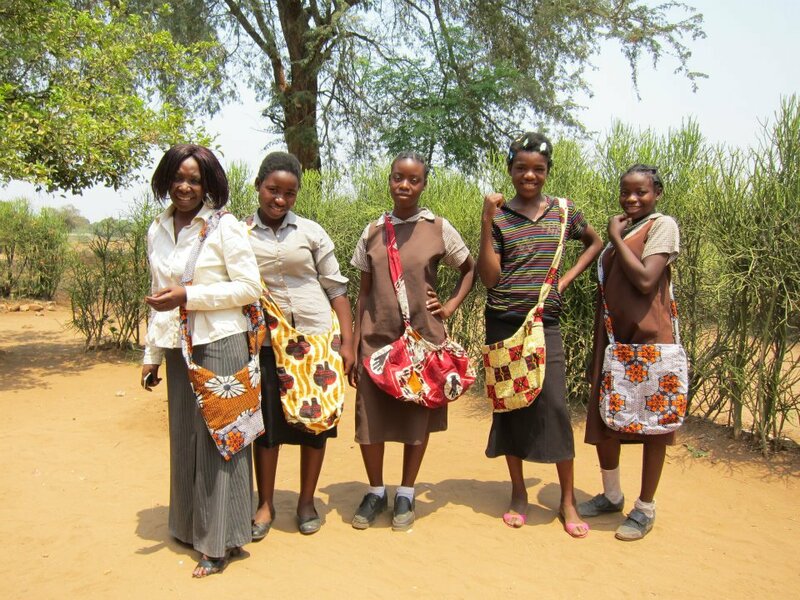 We received some great news from one of last year’s winners in Zambia, which is an inspirational example of how dedicated a school can be to the idea of enterprise. In the School Enterprise Challenge 2011, Indeco Community School won the ‘People’ prize for their uniform and bag making business and the positive influence it had on the local community. In this year’s competition, they have joined us as a Promotional Partner and are now extending that positive influence even further. As a Promotional Partner we asked Indeco to promote the School Enterprise Challenge within their local community and encourage more schools and educational organisations to sign up for the competition. Like last year, they have gone one step further and have now decided to run their very own Enterprise Challenge in conjunction with our own competition for schools in their area. Indeco hope to reach schools who may not otherwise compete in the competition by offering a winning prize of $250, taken from the prize money they won last year. Please also use this email address to send on the links to any blogs that your school has written, or even photographs of your students in action! We will be sure to let other schools know of your progress. From the School Enterprise Challenge team, and all at Teach A Man To Fish. This entry was posted in Uncategorized and tagged education, enterprise, school enterprise challenge 2012, sustainability on June 29, 2012 by School Enterprise Challenge. School Enterprise Challenge – The Deadline for Registration is Approaching! It has been another very busy week for the School Enterprise Challenge, and we are excited at how the competition is shaping up! There have been many new entries to the School Enterprise Challenge again in the past week, and we welcome all of the newcomers. We are delighted to see schools who participated last year returning for 2012, such as Droopnath Ramphul State College (Mauritius), Zululu Primary School (Kenya) & GA Maamendhoo School (Maldives). We look forward to seeing how you can develop and expand your school enterprises even further this year! It is also great to welcome back The Heritage School from India for this year’s competition. Last year, they took the top overall prize in the ‘Planet’ category when they set up a mushroom growing business – called THS Mushroom – as a means of generating a cheap, healthy food source in an ecologically friendly way. We are sure that they will continue to grow and improve, and we are excited to see what the Heritage School can achieve this year! This week has seen a lot of new entrants from Kenya, which is great to see. We would like to warmly welcome the following Kenyan schools to the School Enterprise Challenge 2012: Thika Technial Training Institute, Our Lady Of Mercy Girls’ Secondary, The Victory Senators High School, Riamajeshi Bright Start Academy and Langata West Primary. Good luck to all! A big shout out this week also goes to Padiham St Leonard’s school in Burnley, UK. 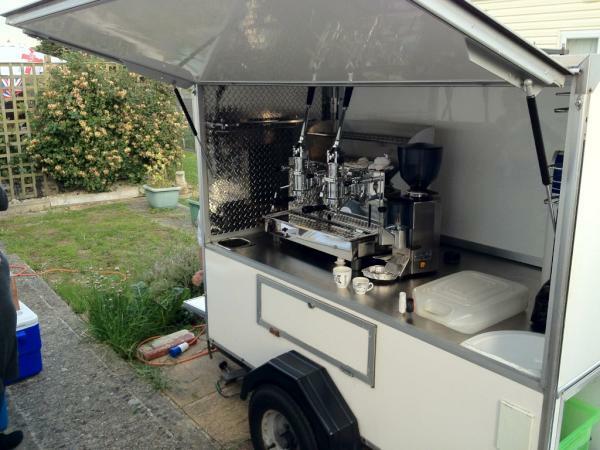 As you may remember, they are setting up a pop-up coffee stall this year to sell ethically sourced Ugandan coffee at Burnley football matches. Their coffee stall (below) looks fantastic and it is great to see their school enterprise taking shape! If your school has recommended the School Enterprise Challenge to another school, it may also be a good idea to send them a reminder about the competition and ask them to ensure that they have signed up in time. This entry was posted in Uncategorized on June 22, 2012 by School Enterprise Challenge. Registration for the 2012 School Enterprise Challenge continues to increase, with over 300 schools from 48 countries worldwide already signed up. Thank you and welcome to all those who have registered already – we can’t wait to see what enterprises you will create in your schools! Some of the countries from which we have had the first schools registered for this year’s competition this week include Burkina Faso (Ecole Primaire Publique de Googho and Zongo School), Papua New Guinea (Small Scale Mining Training Centre) and Thailand (Chak kham Khanathon). It is great to see these countries represented in the School Enterprise Challenge, and hopefully we will see more schools from these countries and others taking part. There was also a strong week for registrations from Uganda, and we would like to welcome Springs Alive Community School, Bishop’s Senior School Mukono, Living Hope Child Dev’t Centre & Nyumbu Primary School. Good luck to all of these schools in the Ugandan country competition this year. Having sent out the first set of educational materials last week, which including a section on social media, we are delighted to see the first school blogs being created. 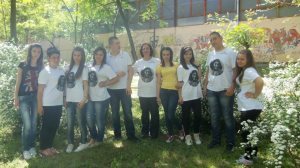 In particular we would like to highlight the blog from students at High school Peyo K. Yavorov in Bulgaria Their have called their enterprise Kids Club “Anne Frank -Tweety”, and you can follow the latest news from Peyo K. Yavorov on their blog here:-http://wp.me/p2vuLx-1x. They plan to create an enterprise which will provide children’s entertainment, and they are already in the process of preparing advertising flyers, brochures and business cards! There was interesting ideas also from the students at Phoenix School in Georgia, who hope to set up a decorating business this year in their school; and DREAM Memorial Academy who intend to set up a resource centre, stationery centre, and a cafeteria. We wish them every success in their school enterprises. If your school has started a blog – please write to us at info@schoolenterprisechallenge.org and give us the link. We will be happy to promote the work your school is doing and make sure that your blog is as widely read as possible. And please feel free to let us know of any interesting news or updates from your school enterprise, and we will be sure to highlight your work to other schools! This entry was posted in Uncategorized on June 14, 2012 by School Enterprise Challenge. It’s been another busy week for the School Enterprise Challenge, with new schools from all over the world continuing to sign up. We would like to welcome to the newly registered schools, including Dasher Hat High School & B.K.T Ideal High School (Bangladesh), the first school from Mexico which was Luis Hidalgo Monroy, schools from Kenya such as Kibera Open Schooling (KOS Centre) & Vyulya Girls’ Secondary School and Grace College from South Africa. We are also delighted to see the first schools from Thailand – (Chak Kham Khanathon) as well as Peru (I.E.P George Washington Carver) on board this year. Best of luck to all in their quest to create a successful school enterprise! We have recently sent out the first set of educational packs for the School Enterprise Challenge 2012, which were Pack 1: Introduction and Pack 2: Social Media. These packs will help you get started on the road towards creating a self-sustainable enterprise, and provide some excellent tips and sample study plans which can be used to teach students about enterprise. If your school has registered for the School Enterprise Challenge but has not received these first packs, please drop us an email at info@schoolenterprisechallenge.org. To all schools registered – now is the time to begin thinking about what kind of enterprise you would like to create and what your business plan will look like! We look forward to hearing more about your fantastic ideas for school enterprises, and please let us know if you need any guidance. We would also encourage all schools to create a blog to tell others more about your plans, and the Pack 2 mentioned above offers some great tips on setting one up. Please do let us know once you have created one so that we can help spread the word further! This entry was posted in Uncategorized on June 8, 2012 by School Enterprise Challenge. Registration for the 2012 School Enterprise Challenge continues to increase, with over 250 schools from 42 countries worldwide already signed up! This week saw the first schools registered from Mozambique (Instituto Agrario de Chimoio), Armenia (Lori Regional State College) and Somalia (KAAH Model School), so a big welcome goes out to all of these schools. There was also a strong week for registrations from Uganda, and we would like to welcome Rwerere Standard High School, Rushanje Girls Secondary School, Jolly Children’s Centre, Mazzi Vocational and Mackay Memorial College Nateete. The Ugandan country level competition promises to be an exciting and highly competitive one! If your school has not yet signed up – why not do so today? We would love to have you on board! We would also like to thank all of the schools who responded to our first worksheet of this year’s competition, in which we wanted to learn more about your school and your plans for the competition this year. From all the responses we have received, it is clear that there are a great many fantastic business ideas being thought up by schools from all over the world. Another interesting idea was at Indeco Community School, Zambia. After having a lot of success with their tailoring business last year, the students at Indeco have come up with a plan to expand into raising chickens to keep the school earning profits all year round. We wish them good luck with their new plan. Good luck also to EDTEC Academy who are planning to start an enterprise offering desktop publishing services, Botowina Methodist Primary in Ghana who will be cabbage farming, and Secondary School “Kozma Trichkov” in Bulgaria, who have great plans to create an enterprise which will process waste in a sustainable way. Follow us on twitter and facebook to keep up to date on what enterprises are being created! If you have any questions or comments on the School Enterprise Challenge, you can reach us at info@schoolenterprisechallenge.org or by phone: +44 7890 420 205. We would love to hear from you!